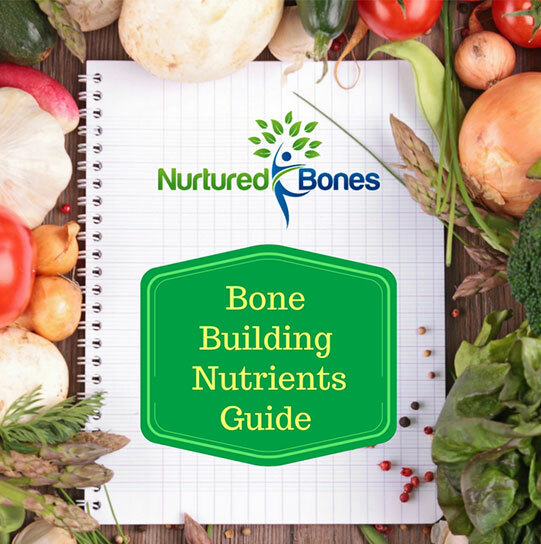 If you have been reading my blog posts over the last year, you know how important good nutrition is to building and maintaining strong bones. You also know that good bone health is not as simple as getting enough calcium and vitamin D. There are many vitamins and minerals necessary for halting bone loss and preventing osteoporosis. But how do you know if you are getting all the nutrients needed? The truth is that even if you are eating all the right foods, exercising and taking a multi-vitamin, you still may be deficient in key bone building vitamins and nutrients. Even if you are leading a healthy lifestyle, there are many reasons why may still have deficiencies. Because each of us is metabolically and biochemically unique, the nutrients required for one person might be very different than those required for another. Although you may eat a balance diet, if you do not adequately absorb the nutrients from your food, you may have deficiencies. Crohn’s disease and celiac disease. Health conditions such as arthritis, cancer, cardiovascular disease, and diabetes can also directly or indirectly cause deficiencies in vitamins and minerals. Our nutrient requirements at age 30 are quite different from our requirements at age 40, 50 and beyond. The aging process affects the body’s absorption of many nutrients. This change occurs because as you age your stomach secretes less hydrochloric acid which is necessary for the complete digestion of food. Hormonal changes may also result in an increased excretion of certain nutrients through the kidneys. Excessive stress, intense physical activity, smoking, alcohol, sedentary lifestyle and the taking of prescription medications can all impact your nutrient levels. Many modern day farming techniques have depleted our soil of important nutrients, and food today may be up to 40% less nutritious than it was 50 years ago. With all these sources of nutrient deficiency, how do you know where YOU stand? There is a way to find out! A company called SpectraCell Laboratories has an exclusive Micronutrient Test that provides a comprehensive nutritional analysis of 35 vitamins, minerals, antioxidants and other essential micronutrients. This analysis can reveal a person’s nutritional status within the cell, where the nutrients are required for optimal health and prevention of disease. Many of the nutrients tested are vitally important to bone health. In addition to analyzing cellular levels of calcium and vitamin D, the test also detects key bone building nutrients such as vitamins K, C and the B vitamins along with magnesium, zinc, manganese, copper and selenium. In my practice, I routinely use SpectraCell Micronutrient Testing to aid in uncovering deficiencies that might be the root cause of osteoporosis, instead of just treating patients with calcium and vitamin D supplements. This test truly allows us to personalize your diet and supplement program. In fact, I can’t think of anyone who wouldn’t benefit from this test! And this test is partially covered by insurance! If your interested in having your micronutrient status tested, give me a call. The test requires a special kit and a blood draw. You can see me in my office to pick up a kit or I can mail you a test kit. Because the lab can ship test kits directly to your home, we can order this test even if you live in a different part of the country! To learn more about SpectraCell Laboratories and the micronutrient test you can click here to go to their website. Call me today to find out more about how I use the SpectraCell Micronutrient to help enhance bone health!